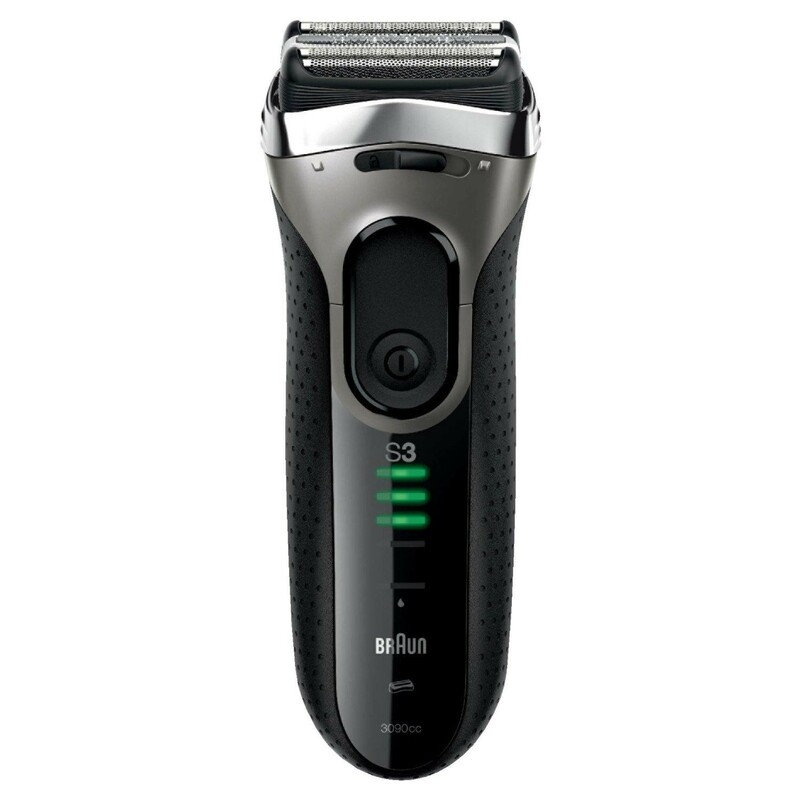 The Braun Series 3 3090cc Electric Shaver MicroComb Technology Fully Waterproof is a brilliant Shaver that shaves incredibly close every time. The Shaver utilizes MicroComb Technology and the Three Separate Cutting Elements to catch even the smallest hairs, and cut them as close as possible, leaving your skin smooth and fully shaven. The Shaver is also 100 percent Waterproof, making it more convenient to use it in the bathroom without worrying about it possibly breaking or injuring you. The 3 Action Clean and Charge Station works by hygienically cleaning the shaver, charging, and lubricating the blades to keep them working efficiently.